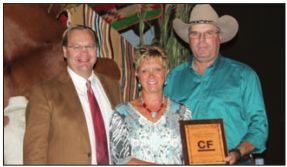 Chuck and Carol Feddes - 2013 Red Angus Breeders Of The Year! 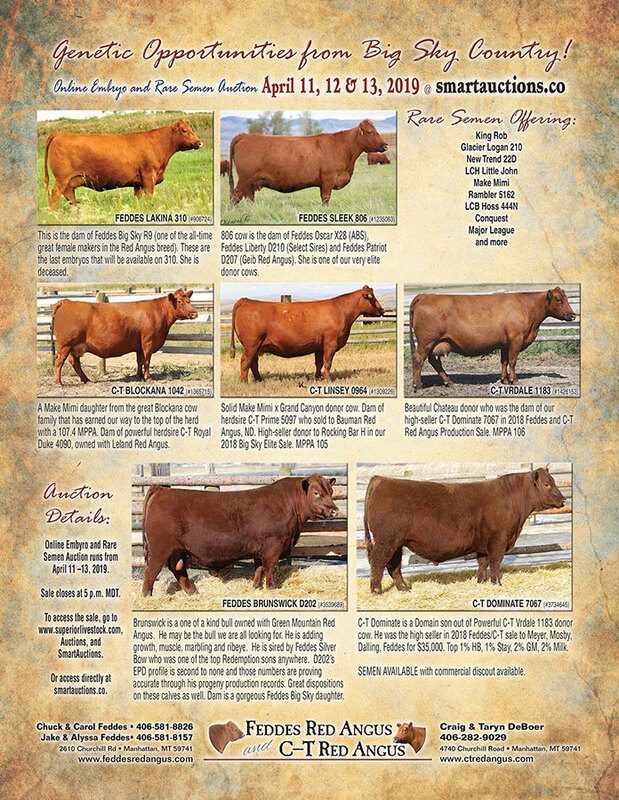 Genetic Opportunities from Big Sky Country!! We are a family operation that has been striving to breed the most complete Purebred Seedstock since 1945. We are located in beautiful southwest Montana 3 miles South of Manhattan, Montana. Our focus is on the complete female that is balanced in all traits, structurally sound and productive year after year. We believe this will produce bulls that are the same. Our success is measured by our repeat customers and their increased profitability. We invite you to stop by, see the cattle and visit anytime. Our Mission Statement: To use the knowledge and forage God has entrusted us with to increase efficiency in the cattle he has granted us to better feed the people created in his image.